Hearing film director Bob Connolly being interviewed about the film adaptation of this volume of short stories made me pay attention to Winton, which I haven’t done since reading and loving “Cloudstreet” more than fifteen years ago. 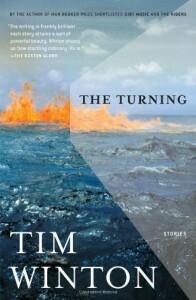 “The Turning” consists of seventeen interconnected short stories, each of which deals with a significant moment in the life of the central protagonist – a moment of change, of insight or of revelation – which reflects the “turning” of the title. One character, Vic Lang, appears in nine of the stories and all of the stories take place in or are in some way connected to the fictional town of Angelus, which is based on the real town of Albany, where Winton spent his teenage years. The stories are told in different voices and from different perspectives and are not in chronological order. So, for example, the stories featuring Vic Lang consist of first and third person narratives (as well as a second person narrative, if I remember correctly) related both from Vic’s perspective and from the perspective of other protagonists and an episode dealing with Vic as an adult may be followed by one which deals with him as a teenager or as a child. If this sounds confusing, it isn’t. Sometimes it takes a while to work out that a particular scene has already been described from a different perspective in an earlier story and occasionally it’s not immediately clear that a story involves a character you already know. 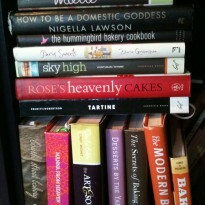 However, these moments of disorientation enrich the overall reading experience. This is not a collection of randomly chosen short stories, or even just a collection of short stories with a similar theme. It’s a short story cycle, which almost forms a novel in episodic form, with a complex narrative structure to complement the difficult issues with which it deals. And there are some difficult issues here: spousal abuse, alcoholism, dysfunctional family relationships, grief and loneliness among them. Winton writes so beautifully that it takes my breath away. There’s not a word wasted in these stories, which are a mixture of the Australian vernacular and, well, poetry. His description of the setting - a small coastal town – is perfect and the inner life of the varied characters – men, women, children, teenagers – is conveyed with sensitivity and economy. To some degree Winton reminds me of John Steinbeck. Not that their writing style is all that similar. However, a hallmark of both novelists is a deep connection with landscape, a compassion for human frailty and an ability to create empathy for even the least attractive of their characters. Reading Steinbeck and Winton is an experience not just for the intellect but also for the heart.